With over 10 million members, Qantas Frequent Flyer is easily the most popular airline points scheme for Australian travellers. But did you know that you can easily book Qantas Award Flights using the Cathay Pacific Asia Miles frequent flyer program – often for significantly less points and taxes than you’d pay via Qantas itself? Read on to discover why Asia Miles should be on every Australian traveller’s radar. I’m a Qantas Frequent Flyer – why should I bother with Asia Miles? Cathay Pacific’s Asia Miles frequent flyer program provides access to Qantas operated flights – often at much cheaper rates than you’d pay if you were to use Qantas Frequent Flyer points. Simply put, by booking Qantas operated award flights through Asia Miles, you could save significantly on the number of points required and the carrier surcharges levied (as a rule, Qantas charges extremely high taxes and fees on flights booked with points). It’s surprisingly easy to earn Asia Miles in Australia. While there is currently no direct Asia Miles earning card in Australia, points can be obtained via a number of rewards credit and charge cards, many of which are available directly through American Express. One of the best ways you can earn Asia Miles right now is through a card with a flexible points currency, such as the American Express Explorer Credit Card. The AMEX Explorer counts Asia Miles among transfer partners, and provides a generous (uncapped) earn rate on everyday spend. Once you have a stash of Asia Miles, you can then easily redeem them for Qantas operated award flights via the Asia Miles website or over the phone. Where could a stash of Asia Miles take you on Qantas? *Taxes based on approximate HKD to AUD conversion at the time of writing. These are subject to change. As we’ve highlighted above, subject to availability, the Cathay Pacific Asia Miles scheme can offer extremely favourable redemption costs when compared to Qantas. 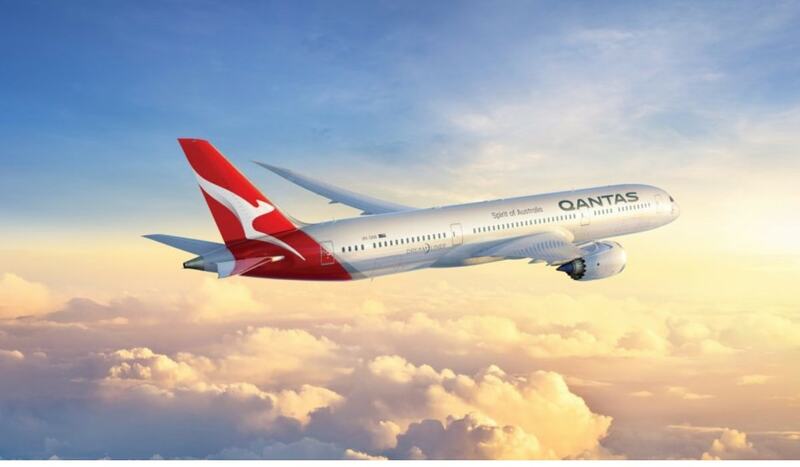 Travellers looking to snag a business class seat on a Qantas operated flight from Sydney or Brisbane to Los Angeles could save a cool 19,000 points and over $200 in taxes by redeeming via Asia Miles instead of Qantas. And booking return premium economy seats on the same route via Asia Miles as opposed Qantas Frequent Flyer is a real ‘sweet spot’- you’ll save a whopping 44,000 points plus more than $300 in taxes! 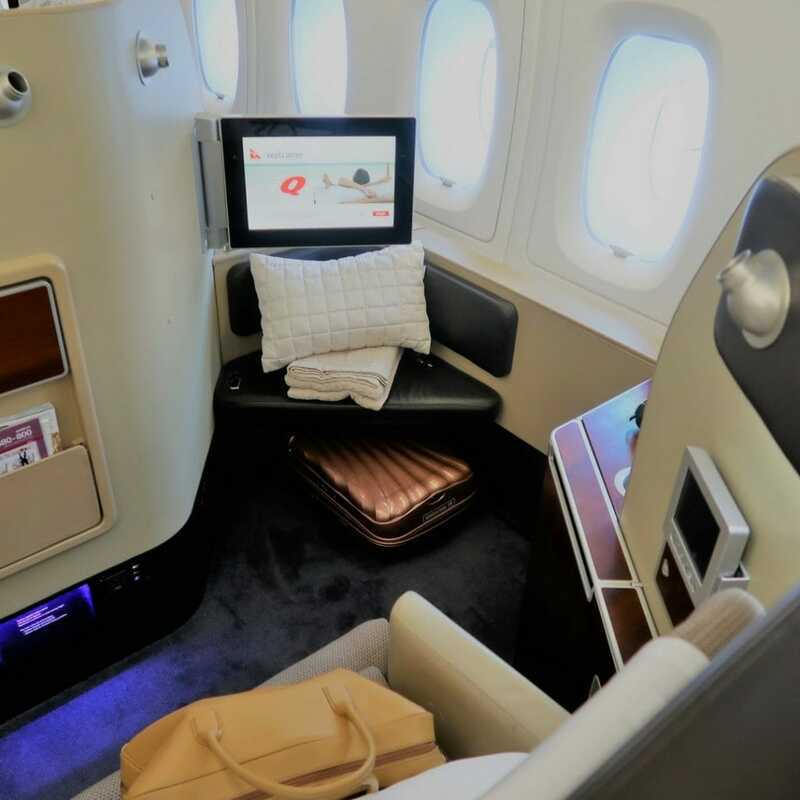 Or, for the ultimate travel experience, why not redeem Asia Miles for a trip in Qantas First Class? A first class Qantas award flight from Melbourne to Singapore comes in at just 75,000 Asia Miles (compared with 90,000 Qantas points). Curious to discover what it’s like at the pointy end? Check out our review here. It’s important to note that our table covers just a small number of the routes that you could book via Asia Miles at a much cheaper redemption rate than the Qantas Frequent Flyer scheme. 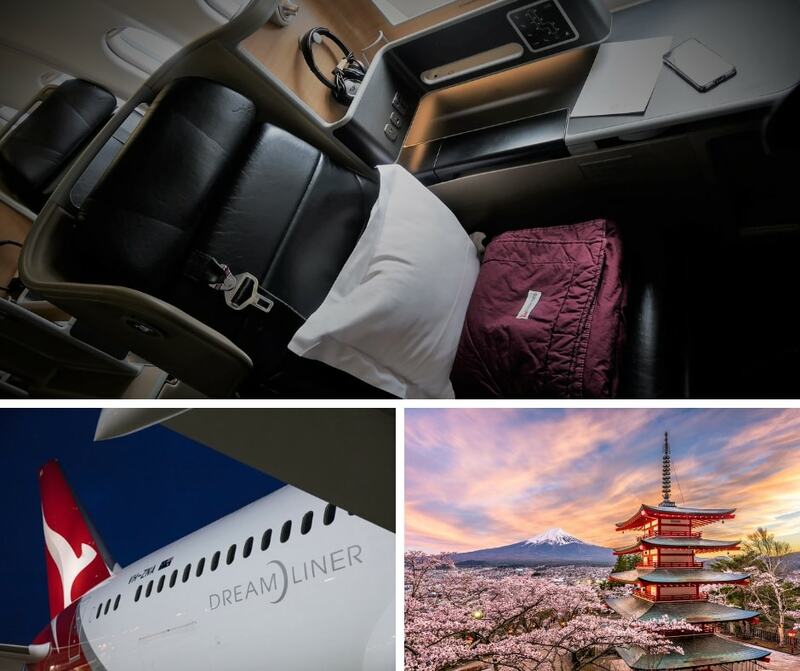 And remember that Cathay Pacific Asia Miles aren’t just for Qantas – the program offers competitive pricing on other highly regarded OneWorld airline partners such as Qatar Airways, Finnair and Japan Airlines. Another great option for redeeming Asia Miles is through Cathay Pacific itself. Cathay Pacific operates flights from a number of Australian cities to Hong Kong – and an award ticket will cost you less when booked via Asia Miles as opposed to Qantas Freqient Flyer. Cathay Pacific operates an exceptional business class product, and their Lounges in Hong Kong are of an excellent standard. Cathay Pacific has come under scrutiny in recent times for restricted availability of award seats both through its own program and via partner airlines. However, we’re currently seeing good availability of CX operated flights from Australian cities to Asia, and Hong Kong to Europe, spread out through the year. As recently discussed here there is also currently good availability of Cathay Pacific first class award tickets between Hong Kong and Taipei. Points redemption rates are correct as at the time of writing and subject to airline T&Cs and availability. Fees and charges are payable in addition to the points redeemed. 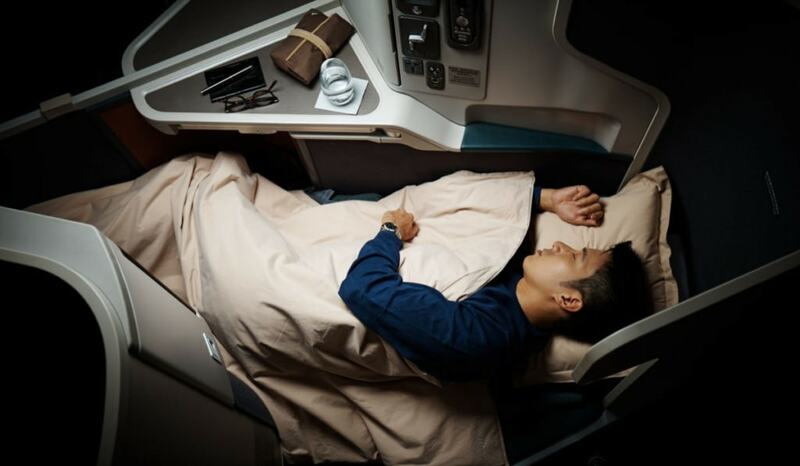 How can I join Cathay Pacific Asia Miles? It’s simple and free to join the Asia Miles program from Australia – you can sign up instantly here. Once your Asia Miles account is up and running, you can link it to your American Express Membership Rewards account and easily start transferring points across. Asia Miles has recently upgraded their website flight search functionality, and flights for Qantas and Cathay Pacific should be bookable online. Flights for some other airline partners need to be booked via the call centre. The Cathay Pacific Asia Miles frequent flyer scheme offers excellent award redemption options for Qantas operated flights and it is very accessible to Australian travellers. If the Cathay Pacific Asia Miles program isn’t already on your radar, it should be!